Fleetwood Mac may have had their ups and downs but they sure know a thing or two about timing. 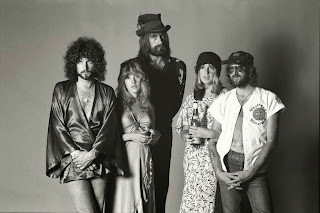 Last year singer Stevie Nicks told Rolling Stone that 2013 would be “the year of Fleetwood Mac”. And so it has proved. Thirty-six years on from their 40 million-selling album Rumours, a languid, harmony-laden work about heartbreak which now resides in one in six US households, the Mac are back on top. Since their Seventies heyday the band have been as famous for broken marriages and drug addictions as their music, and only recently has their back catalogue been deemed ripe for reappraisal. Following a series of re-issued LPs, next week their comeback tour rolls into the UK. Meanwhile, a new generation of artists are making known their appreciation. Below some of them explain the band’s appeal and pick their favourite LP from the back catalogue.